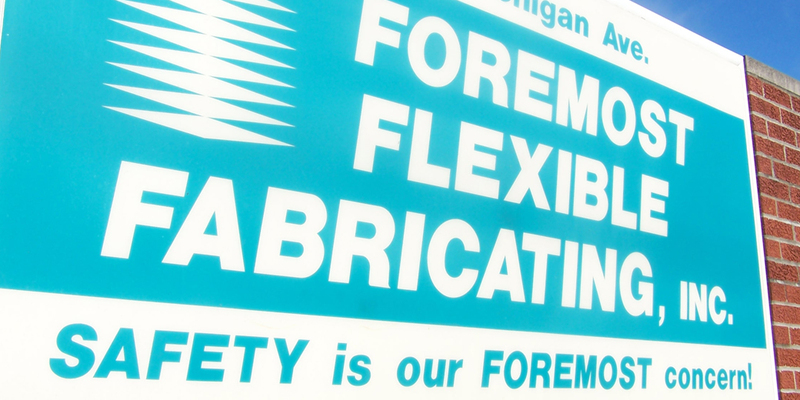 Foremost Flexible Fabricating carries on the dedication to the custom textiles industry from 1929 into the 4th generation of this family owned and operated company. Our manufacturing plant is located in the Midwest. We utilize state-of-the art cutting, sealing and sewing processes to deliver the most affordable and best functioning products available. We believe our customers expect and deserve the best products at the best prices, delivered in the best time frame possible. Foremost Custom Flexible Products is a division of Foremost Flexible Fabricating, Inc. For over 30 yrs. we have been producing premium custom fitting accordion skirting for the scissor lift industry. Southworth, Presto, Autoquip, Herkules, UniCraft, Econolift and many more manufacturers of scissor lifts are our valued customers. From scissor lift table skirting to custom handmade or cut parts, our job is to assist all customers in acquiring the right fit for each application. Our commitment to accomplishing that goal comes from our Purpose Statement: We will exist to honor God through Christian Business Practices and through the goods and services that we produce.